We have been working on an amazing project for the past year and have been good little boys and girls to keep such a secret for such a long time! 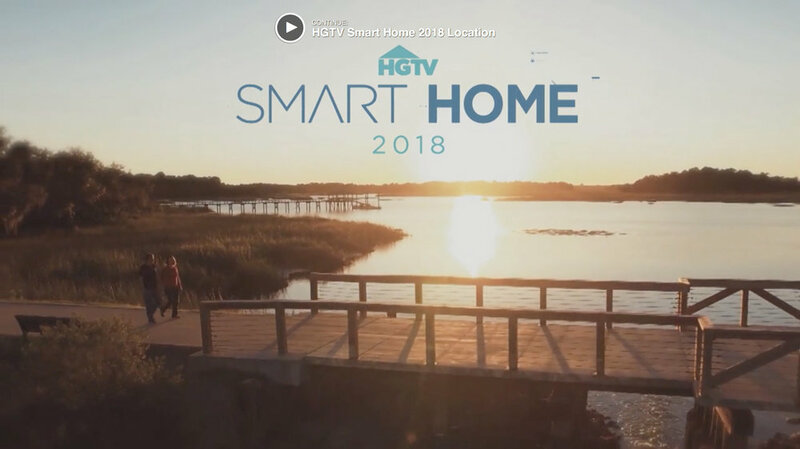 But now, the time has come to announce…….. the next HGTV Smart Home is in Bluffton! Even more exciting is that our very own team here at Shoreline has worked hard to build it!! We are so proud of this home and can’t wait to see it, in all its glory on TV! It has been a very unique experience to build a home and work with production and filming schedules. We have had the best time getting the “behind the scenes” peek at how these shows are made. Most of which are top secret. Sorry! We truly hope you will follow along on TV and with us! Visit the HGTV website to watch the announcement video and to start Entering to Win! 5 Types of Flooring….. Though options are endless.